Good. OFFERED BY THE UK CHARITY LANGDON: SUPPORTING MEN & WOMEN WITH DISABILITIES. Good. Sold by the Charity Langdon: helping men and women with disabilities. Fine. Sold by the charity Langdon: Supporting men & women with Disabilities. Dispatched within 1 working day. Very Good. Trade paperback (US). Glued binding. 1120 p. Contains: Unspecified. Intended for a young adult/teenage audience. This biography of Harry Truman presents a picture of an extraordinary American President. 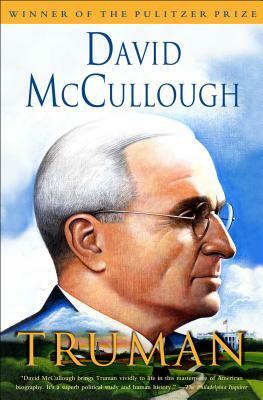 Drawing archival material and interviews, McCullough chronicles Truman's boyhood, his entry into politics and his emergence as President. This book won the Pulitzer Prize for Biography in 1993. Very Good. A biography of the U.S. president explores Truman's brutal frontier childhood, his education, his dogged optimism, and his rise through the ranks of the Pendergast machine that controlled Missouri politics. Sewn binding. Cloth over boards. 1120 p. Contains: Unspecified. Good. Trade paperback (US). Glued binding. 1120 p. Contains: Unspecified. Intended for a young adult/teenage audience. This biography of Harry Truman presents a picture of an extraordinary American President. Drawing archival material and interviews, McCullough chronicles Truman's boyhood, his entry into politics and his emergence as President. This book won the Pulitzer Prize for Biography in 1993.